OK, fine. But nothing could have been done. Five years later, Alan Greenspan finally admits he screwed up.Kind of. …the former Federal Reserve chairman, acknowledged that the Fed failed to grasp the magnitude of the housing bubble but argued that its policy of low interest rates from 2002 to 2005 did not cause the bubble. 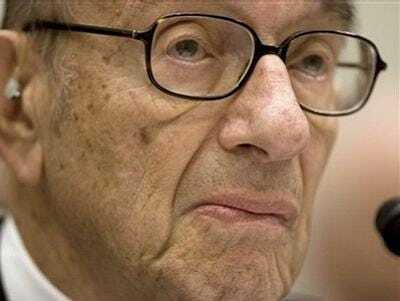 In a 48-page paper that he is to present on Friday at the Brookings Institution, Mr. Greenspan, who stepped down as Fed chairman in January 2006, expressed some remorse but stood by his conviction that little could be done to identify a bubble before it burst, much less to pop it. Click here to read the Greenspan paper for yourself.